When workflows work like they should, the entire experience will improve efficiency for the organization and be nearly imperceptible to the customer. They will simply “experience” your services the way you intend. The trouble, however, is that workflows do not always function the way they should, and when that happens, customers take notice. In the case of workflow meltdown, customers are more likely to experience slowdowns in service, which means that you’re much more likely to receive complaints. That’s why it’s essential for workflows to be properly mapped out and implemented so that the customer experience is seamless. For that to happen, you need to understand how the customer journey – or really, the customer experience – is affected by your workflows (and vice versa). Here is a breakdown of the process and some tips for helping you map out a customer journey that improves your workflows, too. We have written about the customer journey before, but in order to fully understand it, you will need to learn how to map it. According to Harvard Business Review, a customer journey map is a diagram that illustrates the steps your customers go through when engaging with your company. Much like a workflow diagram, the customer journey map includes touchpoints that encapsulate the full customer experience. This will detail things like motivations, triggers, emotions, challenges and desired outcomes as well. Both workflow mapping and customer journey mapping require knowledge of the customer and processes involved in giving them the experience they need. While workflow maps are helpful for identifying individual tasks and processes that help customers reach their goals, the customer journey map helps you understand how those goals align with your overall marketing strategies, your branding, and your business processes. It provides a sense of the customer’s greater motivation, which may influence the way you create your workflows. You may already be somewhat familiar with what a workflow diagram looks like, but a customer journey map is slightly different. It can take on many forms, but the map typically appears as an infographic or visual aid, compared to strict swim lane diagram, for example. And you will notice that symbols have changed, but the journey is still there. Without the customer journey, you may not be able to understand the workflow or each touchpoint in its proper place. 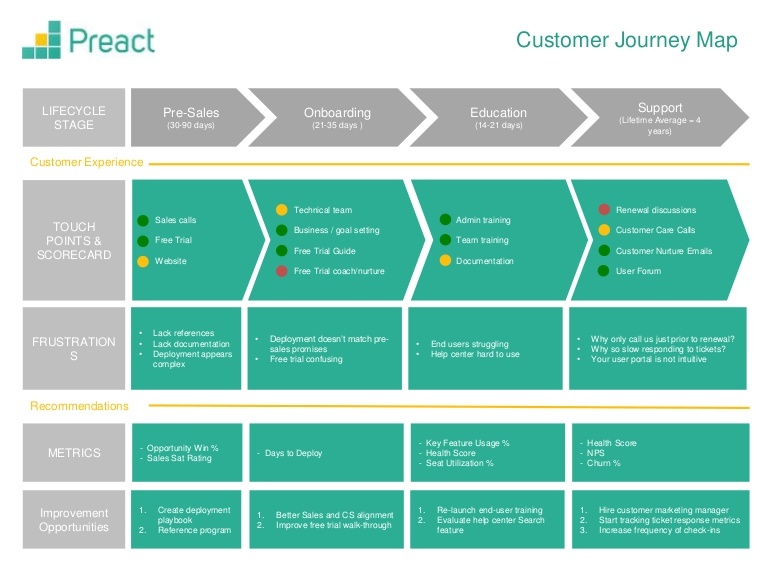 The goal of a customer journey map is to teach an organization more about its customers in a visual way so they can understand the business processes that keep them happy. Creating a customer journey map is not complicated, but it does take time and study in order to fully understand what your customers want and need from you. Therefore, the process of creating a customer journey map begins with audience research. There are typically two types of research you will want to use: analytical and anecdotal. Analytical research will include any data that you pull from Google Analytics (or whatever tool you use to measure website metrics like site visitors, etc. ), internal databases, or any other tool or software used to measure customer interactions. For example, you might find that customers are spending a lot of time on your website looking for specific information. You may also find out how long they spent on a landing page and whether or not they clicked away. You may also find that databases show that certain customers stopped purchasing your products after a certain date or incident, or that you started receiving more negative feedback. These are all indicators you can use to determine where there were gaps in your workflows that may have prevented them from receiving the attention and care they needed. Anecdotal research, on the other hand, will help you understand the story behind the metrics. By performing customer interviews, or sending out questionnaires and surveys, you may be able to hear customers tell of their experiences in their own words. This will help you paint a picture of why certain touch points are failing (or succeeding), why customers have stopped buying, why they bought in the first place, and what keeps them coming back. Speaking to staff and other team members within your organization may also help you put together a picture of what your workflows really mean to the customer in the larger scheme of things. Take your time and gather as many metrics and stories as possible so you have a complete picture of the customer, what they want and what areas could be improved. After that, it’s time to build your customer journey map. 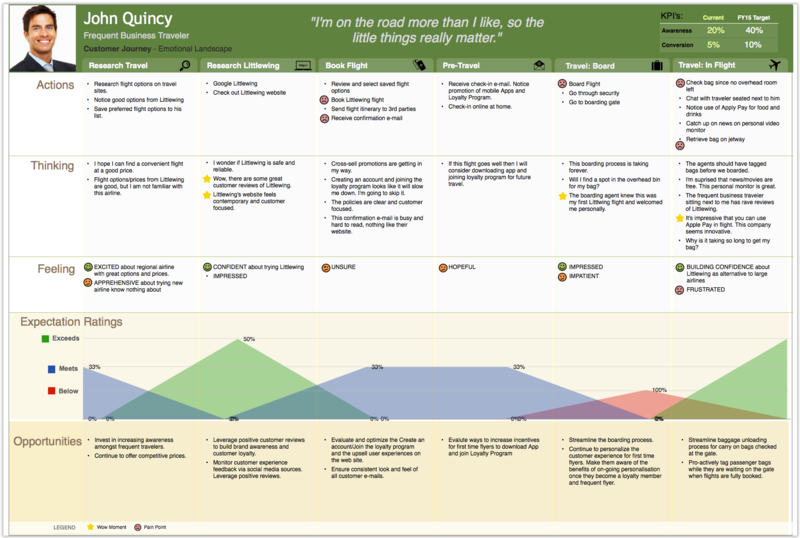 Because customer journey maps can be open to interpretation, there are many different tools you can use to create them. Your best option may be to use something like UXPressia to find a basic template and then building from there. Once you have a list of tasks that reflect your customer goals, you can start the process of mapping out your workflows for each process as they relate to your customer personas. 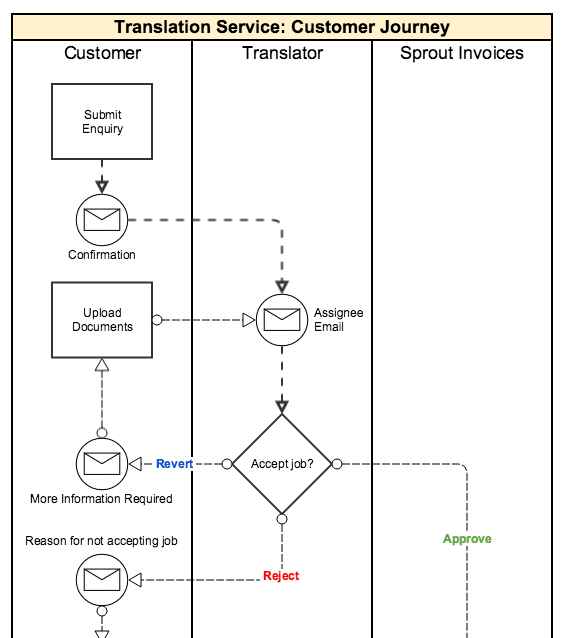 For more information on how to build a workflow map (diagram), read our post about it here. In order to create truly effective workflow diagrams, you need to start with the customer journey. Without it, you won’t be able to recognize whether or not your workflows are truly meeting customer expectations. But with the power of both workflow maps and customer journey maps combined, you can create a seamless experience that meets customer needs at every touchpoint in the journey. To build your customer journey map, start with audience research. The more you understand about a customer’s motivations and goals, the more accurate your maps will be. Remember that a customer journey map is simply a visual representation of an idea. If you don’t want to build one from scratch, use a template or tool that allows you to create one quickly. Then, you can move on to creating your workflow diagrams and improving the customer experience across your organization. On other advertisements, checkout online slot games. 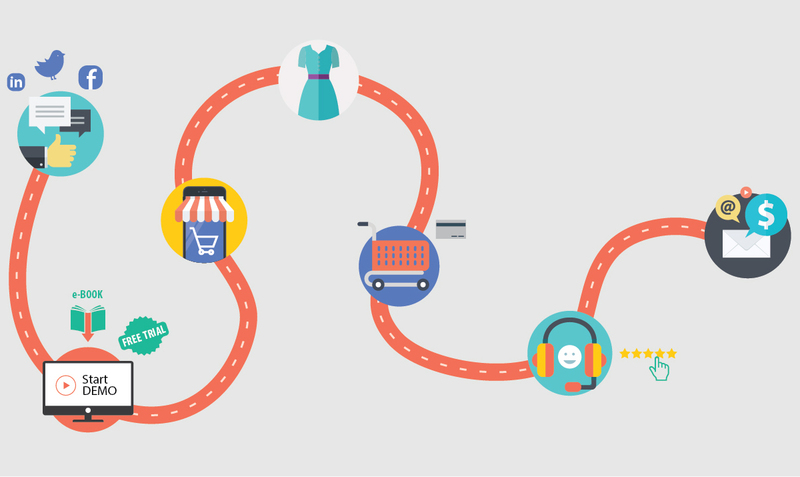 Here are some simple tips for improving your customer journey map. Subscribe to download this free resource.